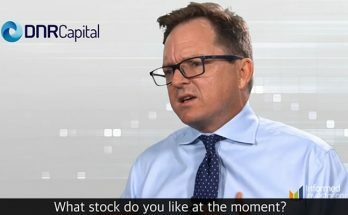 DNR Capital’s Jamie Nicol speaks with Informed Investor about REA Group (ASX: REA), a leader in the global digital property industry. News Corp has underlined the importance of its REA property website listings business by promoting its CEO, Tracey Fellows to run all of the company’s operations in this year from the US. The fall out from last Friday’s trading updates from Nine Entertainment and Fairfax Media ahead of the release of the documentation for their planned takeover deal continued to batter the media sector yesterday on the ASX. Despite a slowing residential property market, Morgans has calculated that the company is continuing to grow volume in paid depth ads. The broker expects REA Group to sail through the current slump in residential property markets and meet expectations for the first half. The company’s US affiliate, Move, controlled by News Corp ((NWS)), will acquire Opcity, a sales lead qualification company servicing real estate agents and brokers across the US. Detailed analysis of industry ad volumes suggests to Citi REA Group continues to exert its dominance, leaving but a few spots for Domain Holdings to lead over its bigger competitor, such as in Sydney’s eastern suburbs. The company delivered a stronger-than-expected March quarter revenue and earnings outcome. UBS flags the launch of new agent branding products, which could add new revenue once fully penetrated and the Hometrack accretion, likely to be minimal because of the additional D&A. First half earnings were up 21.4%. Macquarie expects top line momentum will be strong in the second half, tempered modestly relative to the first half by the concentration of depth revenues and reduced listing volumes in Sydney and Melbourne. As many of you know, we have long been supporters of the REA Group (ASX: REA) story with the company a longer term holding in both our domestic and global funds. “Look at market fluctuations as your friend rather than your enemy; profit from folly rather than participate in it.” Warren Buffet. When REA Group (ASX:REA) announced the FY17 full year results the shares fell six percent (they’ve since recovered). REA Group reported an underlying profit for the full-year FY17 of A$228.3m, which was up about 12%. Most of the growth can be attributed to growth in the more expensive ‘premium’ depth ads, and much of the growth came from higher prices. REA Group ((REA)) has grown its premium advertising volumes and counteracted weakness in expenditure by developers. Nevertheless, FY17 results fell short of many expectations, which several brokers believe had become inflated. A better Australian result was matched by lower Asian earnings and slightly higher costs. Operating earnings (EBITDA) at $380.9m were up 16.2% and net profit at $228.3m up 11.7%. For some years we‘ve advocated for our investment in Australia’s dominant real estate portal, REA Group. For us, REA ticks all the boxes. It’s a well-run business with high returns on equity and an ability to raise prices in the face of excess supply – without an adverse impact on unit sales volume. One type of competitive advantage that we find particularly compelling is the customer moat. Businesses with a strong customer moat – like Amazon and REA Group – create value for their customers, making them highly durable investments over the long term. News Corp’s 61% owned online real estate arm, REA Group has revealed write downs in the value of its Asian assets totalling $180 million on a preliminary estimate. The company has informed agents of a new pricing structure effective from July. Citi’s observations suggest an average price increase of 15% for agents on a Premiere-All contract and larger increases for everyone else. The share price has performed strongly in recent days and Morgans downgrades to Hold from Add. The shares now trade in line with the broker’s target of $60.73. With property prices still heading north – particularly in the major capitals – we recently took the opportunity to meet with the CEO and CFO of REA Group (ASX: REA), Tracey Fellows and Owen Wilson. Our discussion gave us a greater insight into REA’s 1H17 result and the prospects of Australia’s leading online real estate advertising company. A change in accounting treatment made for a messy comparative result, but the broker’s first take is that REA’s earnings came in slightly below expectation. Australian numbers were in line but Asian numbers were poor, which might bring into question the capital spent on acquiring iProperty. REA Group is succeeding despite current market conditions, not because of them. 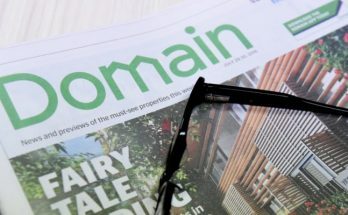 The strength of the Australian housing market and REA’s own robust financial performance suggest the owner of the realestate.com.au property portal is riding boom times. However, the company is currently navigating one of the most challenging periods of the last two decades. There is plenty of room for REA’s earnings and stock price to rise from these lows. Does REA Presents REAlly Great Value? Like many high quality firms, REA Group’s (ASX: REA) share price has rerated significantly over the past few months, dropping from over $65 to around $52. Despite this, we think REA’s prospects have continued to improve, and as discussed recently on the blog we strongly believe this presents a great buying opportunity for long-term investors. First quarter results were solid with revenue growth of 16% and EBITDA growth of 9%, Deutsche Bank observes. 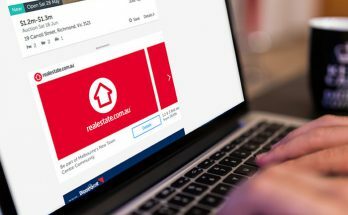 Realestate.com (REA:ASX) is the kind of business we like. It’s a price maker, not a price taker. 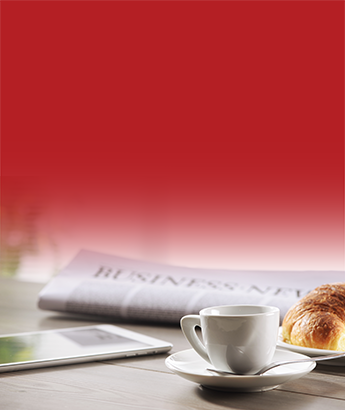 We believe it will continue to perform well as the property market matures. The recent share price decline has meant the stock is now trading at a substantial discount to valuation and Morgans upgrades to Add from Hold. There are a couple of reasons why REA Group has motored up 10% since its interim result in February. The first is that many growth stocks are surging because long-term interest rates are plummeting. Plugging in lower interest rates tends to boost the valuations that drop out of broking analysts’ models (and that’s just one of their dirty little secrets). Global returns and interest rates are so low that in Denmark borrowers are finding their mortgage balances are declining, even without making payments, because interest rates are negative. Elsewhere, high-quality companies are trading at eye-watering multiples. In private equity, too much money is chasing too few opportunities, and meanwhile investors are happy to buy property that is yielding barely more than bank interest despite the higher risk profile. REA Group (ASX: REA) has reported a 20 per cent increase in revenue in the third quarter. We summarise the key points in this blog post. Is The Housing Market Causing Trouble For REA? Investors could be forgiven for feeling slightly anxious on the back of the news coming out of Australia’s real estate market. In this week’s Video Insight Scott Shuttleworth discusses the recent REA Group results. First half results were ahead of Deutsche Bank’s estimates. The beat is attributed to margin expansion but, with management indicating costs growth will be much higher in the second half, Deutsche Bank makes few changes to forecasts. REA Group: Buying Opportunity Or Fully Valued? REA Group (REA) delivered a firm set of numbers in the first half but the market was not overly impressed, which Morgans blames on management avoiding commentary on a planned May price rise, amid a warning that second half margins would be lower. REA delivered a strong Sep Q result, boosted by Premier All listings kicking in "with dramatic effect," the broker notes. Volumes were also stronger and other key revenue categories were robust, while costs were lower. The company will acquire the remainder of iProperty ((IPP)), offering $4.00 cash per share. Shareholders in iProperty can elect to receive either the payment in cash or a mix of cash and shares in a new unlisted vehicle. Yesterday REA Group Limited (ASX: REA) released their full year results. Whilst it slightly missed expectations we were nonetheless pleased by the result. The FY15 result was slightly below the broker’s forecast’s. The start to FY16 has been encouraging. There’s no doubt that REA Group Limited (ASX: REA) has been an excellent performer in terms of share price over the past decade, it’s up over 2,600 per cent. We now ask, with questions arising about a potential housing bubble and maybe even a looming burst just around the corner, will REA be able to maintain this? Citi initiates coverage with a Buy rating and $54.00 target. The broker notes the stock traded sideways for most of 2014 as investors questioned the growth prospects against a premium valuation. The Hong Kong business of REA Group Limited’s (ASX: REA) Realestate.com has been one of a few dull spots on an otherwise bright canvas for quite some time. Through a well-executed move, they seem to have changed their prospects in the country.